"There is something to be said about wanting to learn from the best. 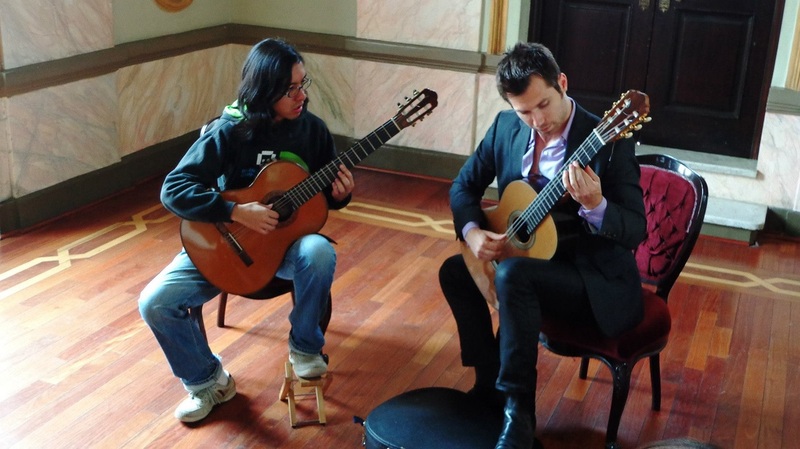 If you want to learn classical guitar from the best in D.C., Piotr is certainly one of them." FULL SCHOLARSHIP AVAILABLE WHEN AUDITIONING FOR THE PRE-COLLEGE PROGRAM. Scholarship and University Student Discounts available. "Piotr is one of the bright lights of the younger generation of classical musicians, a player of tremendous skill and sensitivity." As an instructor, Piotr has given masterclasses to young professional guitarists in Central America, Europe and the U.S. After being an instructor at Maryland's International School of Music, he began his faculty position at Strathmore's Institute for Artistic Development. Students from Piotr's studio have won national and international level guitar competitions and have regularly gained entry into America's top music schools--the Peabody Institute at Johns Hopkins, Oberlin, New School of Contemporary Music in New York, and Berklee College. Hailed by the Baltimore Sun as an artist of "formidable talents," the Russian-American guitarist has performed at the Kennedy Center, Strathmore, Jordan Hall in Boston, Mimara Concert Hall in Croatia, Teatro Pablo de Villavicencio in Mexico, D.B. Clarke Auditorium in Canada, New York's Dweck Center for Contemporary Culture and Panama's historic National Theater. 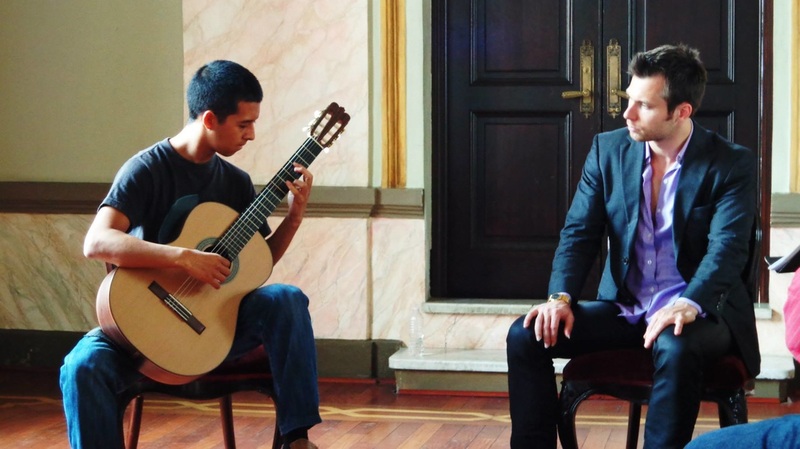 After finishing his studies with Manuel Barrueco at Peabody, Piotr became the First Prize winner of the 2012 Mexican International Guitar Competition in Culiacan and has taken top prizes at the 2012 Boston GuitarFest International Guitar Competition, Great Lakes Guitar Competition, Montreal International Guitar Competition, and the European International Guitar Competition, “Enrico Mercatali,” in Italy. As the winner of the 2016 Respighi International Soloist Competition, he will make his concerto and solo debut at Carnegie Hall in the Chamber Orchestra of New York's "Masterwork Series" for the 2017-18 season. Piotr plays exclusively on a 2010 Ross Gutmeier Guitar and is an Oasis Strings sponsored artist.